Web Scraping is also known as Screen Scraping, Web Data Extraction, Web Harvesting etc. is a technique that is used to extract large amounts of data from websites the data is extracted and saved to a local file in your computer or to a database in a spreadsheet format. Web Scraping is the technique of automating this process in which the Web Scraping software will perform the same task within a fraction of the time instead of manually copying the data from websites. The act of data extraction which is done manually, automated and gives the higher quality output. Web scraping is done with a software that simulates human Web surfing in order to collect specified bits of information from different websites and helps to collect certain data to sell to other users, or to use for promotional purposes on a website. Website scraper is the software that extract the data from multiple number of pages as per our requirements. Web scraper automatically identifies and fetches the patterns of data and scraps or reformat the data whenever repeated. It automatically extracts the data from multiple data. The web scraper downloads the image for the automated processes. A web scraper can even ban the computer from accessing the data. This scraper helps to collect the data and create our own data. The work of web scrapping is done with the webs scraper bot for which the operators invest in serveries for the data being extracted. A web scraper bot is the software program that typically runs automated tasks with unattainable great speed. There are many techniques of web scrapping. Text pattern matching is basically the checking the sequences of data among the raw data, to extract the exact match. HTTP is the Hypertext transfer protocol that is the protocol that transfers the information between the computers and encrypt and decrypt their data according to the requests. HTML parsing is the software used for Hypertext Markup Language. HTML is the process for the analysing of data for storing. The Document Object Model (DOM) is the interface that allows to access and update the information used in the XML documents and with up-to-date style, text and pictures. Computer vision web is the ability to understand visual data, and interdisciplinary field. It seeks to acquire, process, analyse, and understand images. Its enables to scrap product details. Boost analytics to extract all the data. In helps in shilling. Shilling is an activity that aims to detect the fraudulent activities for the betterment of the company. Therefore, it enables the company to reduce the spamming so that no fake comments or data is present on the online portal of the company. 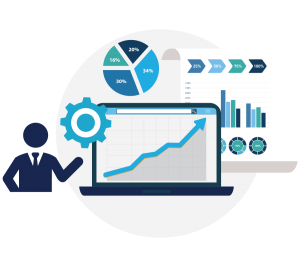 It enables to update the portals of the company so businesses are able to update the data instantly with the help of data scraping. The extraction of data that is the data scrapping helps to save the data into a single location.